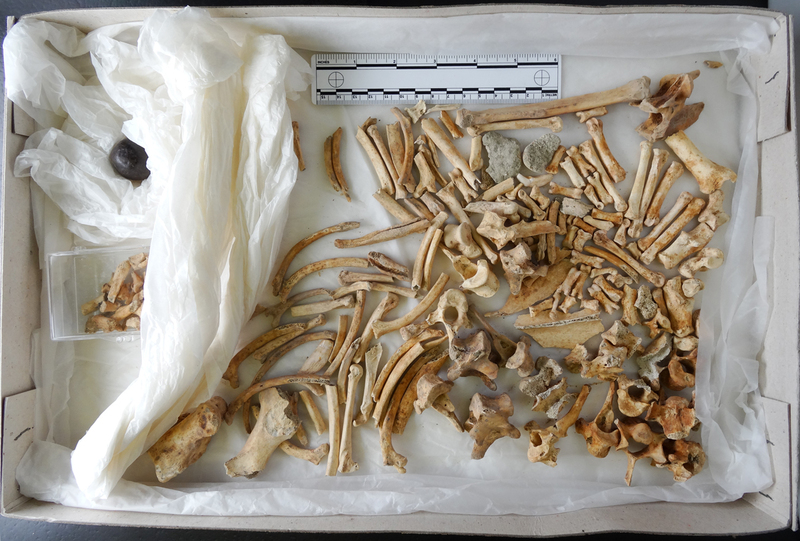 Everyone correctly spotted that the bones were canid (and by everyone I mean Ric Morris, witcharachne, Jake, Paleotool, Allen Hazen and Sam Misan), either Dog or possibly Fox, as suggested by Sam Misan. 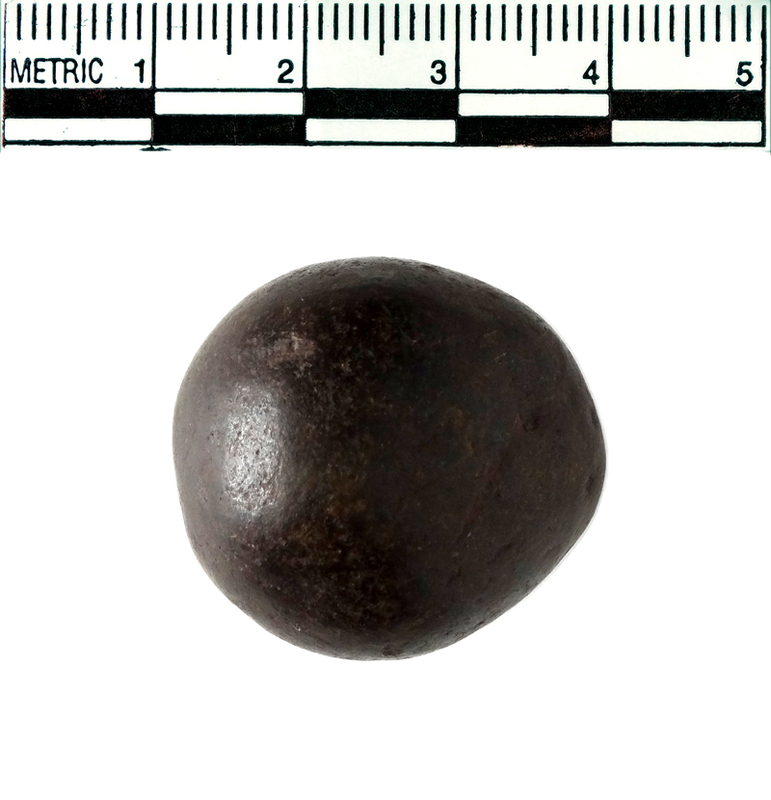 The initial thought was that it might be a musket ball, but it’s rather on the big side for that – more like a small cannon ball or piece of grapeshot. 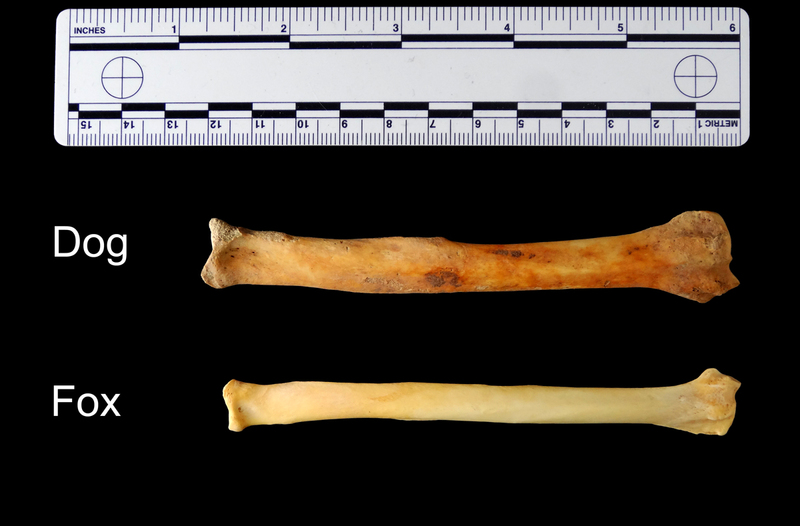 The material its made of may provide a clue as to what it is. It’s not magnetic and there’s no red coloured oxidisation on the surface, so it’s not iron. It doesn’t have any casting marks, it’s too hard to be lead and although it’s dense, it doesn’t seem to be metal. To my mind it seems likely to be a naturally formed mineral concretion. It could be a phosphatic nodule, pyrite or marcasite (they contain iron, but they’re not magnetic) or maybe a quartz mineral, like flint (which is what I’m leaning towards). 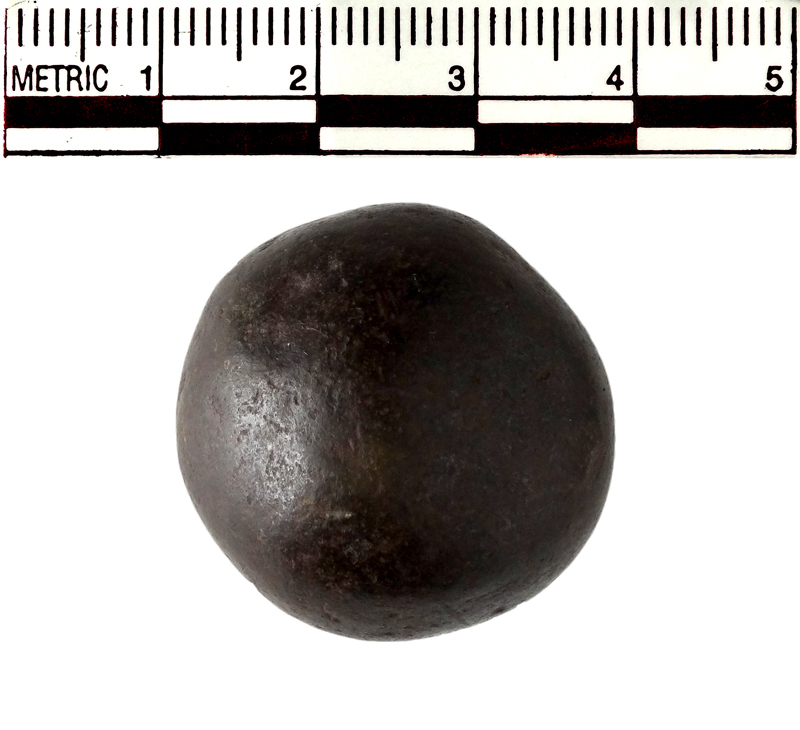 This may be naturally occurring in the area, but if the materials were collected together it seems likely that the ball had been used by someone for something. The possibility I’m inclined to go for is as ammunition for a sling. All a bit speculative I’m afraid, but that’s how the game sometimes works out. Thanks to everyone for your input! Any idea at all of the age of the specimen or the provenance? The ball is likely a Tektite. I have found one exactly like this and am trying to figure out what it is also, however mine is a bit smaller and was found in eagle pass texas.